Meteor House » The Song of Kwasin ebook now available! 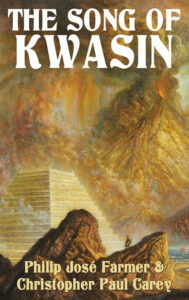 The Song of Kwasin ebook now available! In celebration of Wold Newton Day, The Song of Kwasin by Philip José Farmer and Christopher Paul Carey is now available as an ebook for the Kindle (Nook edition coming soon). Also note that there are now fewer than twenty copies of the Signed Hardcover Limited Edition left. This could be your last chance to get one before they are all gone. Comments Off on The Song of Kwasin ebook now available!